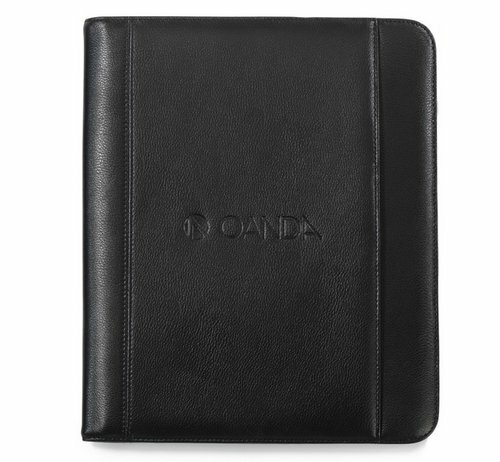 Executive styling and functionality makes this leather writing pad the perfect gift. Exterior pocket. Stylish printed liner. Tablet sleeve with scratch resistant lining (Fits up to a 10in tablet). Multi pocket organizer. Stylus and pen loops (stylus and pen not included). Unique FlipTuck feature for storing paper behind pad while taking notes. 2-piece Travis&Wells gift box included.